Right… I will not make true sales with a real estate catalogue, but I picked a few bargain properties, villas, apartments or houses, for sale at reduced prices, really affordable, offering in the current market an excellent price / quality ratio. And even the prices in Spain now no longer decrease, the purchaser of one of these properties is sure to get “good value for his money”, when purchasing a bargain Spanish property. Now even if the price is very reasonable, these properties have been checked like any other, and do not present any hidden defect, which could make up for a price lower than any other property in Spain. Here are these bargain Spanish properties for sale at reduced prices, of which neither me nor my correspondents on the spot understand why they are not yet sold. 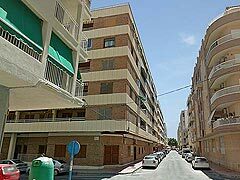 And when it comes to a cheap Spanish properties: you may find other excellent deals in Spanish real estate in the general catalogue, here: INSERT real estate catalogue in Spain, and in particular on this page: Properties for sale in Torrevieja and Orihuela Costa, southern Costa Blanca. Many more would deserve to be posted here. PS: About “Spanish bank repossessions and repossessed property bargains”, please also check our FAQ before thinking further: Property seizures from bank in Spain: is it really a good deal?. AFTER, you may go ahead or... decide not to. 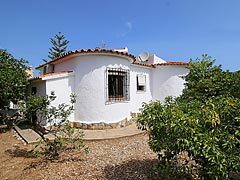 Impeccable detached house without swimming pool neither fireplace but with possibility to make both, at a really bargain price on the Costa Blanca: click the picture. 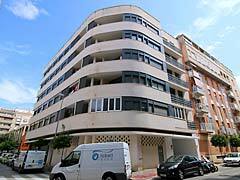 And on the Orihuela Costa real estate, you will find more Costa Blanca properties for sale at a cheap price in Spain. 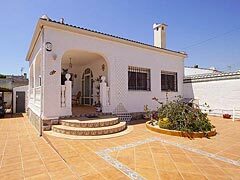 House within an almost rural setting but not isolated, with many neighbours, less than half a mile to the sea and a mile from all amenities, at a really low price on the Costa Blanca: click the picture. This low price is ready to move into, but is modernisable. Since the end of 2014, the prices are up again in Spain, and bargain properties are disappearing from the offer. 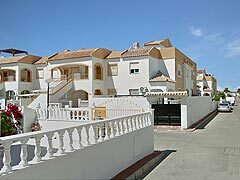 on the Torrevieja real estate, you will find more Costa Blanca properties for sale at a cheap price in Spain. The good deal on the Spanish real estate market, slightly over 1,000 euro per square metre: really a bargain property on the Costa Blanca. 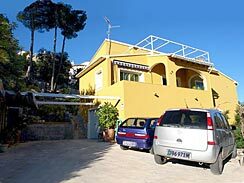 Slightly over 1,000 euro per square meter: really a bargain price property for sale on the Costa Blanca in Spain. Detached Costa Blanca villa on the countryside, ideal for independent professional, less than 1,000 euros per square meter, isn't that cheap? 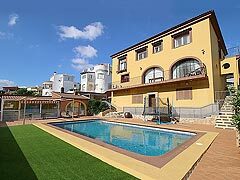 A dream house in the Costa Blanca for less than one million euros; not for all purses, but still an excellent price - quality ratio in consideration of the class of this property. If you like it, visit one of these properties without any obligation! To make an appointment, send an e-mail now!